Roots from Costa Rica for sale in Finland. They have been waxed to preserve their freshness. 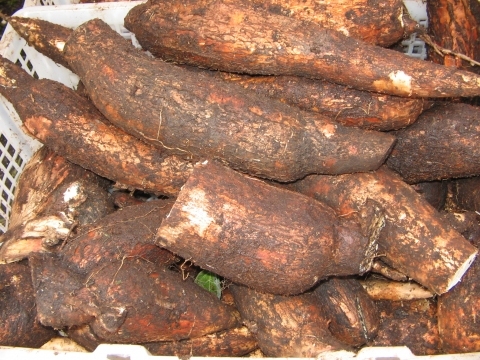 Cassava is a shrub growing around 3 metres tall. Widely cultivated as a food crop, it is not known in a truly wild situation. Seed - seedlings are very unlikely to be true to type and could possibly revert to bitter types.